T17T299 is rated 5.0 out of 5 by 3. The confident slant of the Pivotal™ Bath Collection makes it a striking addition to a bathroom’s contemporary geometry for a look that makes a statement. With separate handles for volume and temperature control, this Delta tub/shower provides a more refined showering experience. Simply set the water at your preferred temperature and turn the shower on or off with the volume control handle - without interrupting your set temperature. Chrome has rapidly become one of the most popular finishes across décor styles in the bath thanks to its stunning gloss and innate versatility. Paired with crisp lines and bright whites, it creates a bold, modern contrast, but it works equally well with vintage styles and traditional spaces to convey a hint of nostalgia. Rated 5 out of 5 by deanogrigio from Super sleek and very functional! This is a great shower system. 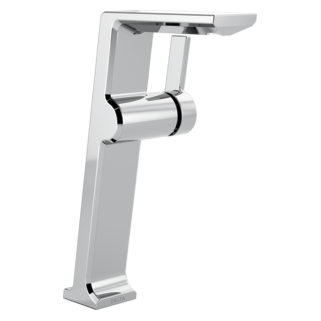 The temperature controls are just like any other great thermostatic shower. I love the distance of the rain shower, plenty of clearance from the wall allowing for nice coverage. Highly recommended! 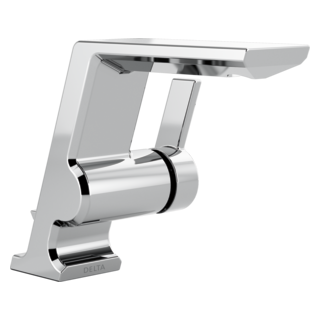 Rated 5 out of 5 by Erin from Delta Pivotal Shower Trim Very sleek looking! Love the modern shower head and color. Rated 5 out of 5 by JimmyBuck from Flawless performance I bought about a month ago and ordered chrome. Received all chrome with a black temperature control handle. Not sure if Delta changed the option. Would like to have all chrome. Very well made, nice finish. How far out from the wall does the shower head extended? Is that length adjustable? Does this come with the drain cover for the shower drain? Also is that included in the tub only model as well? How many inches does the shower head extend down from the horizontal water pipe? 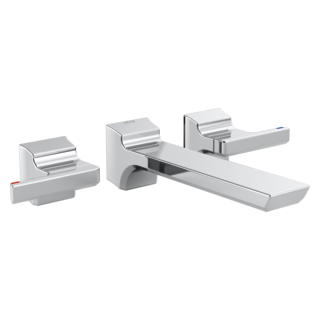 Will this work with H2Okinetic&reg; 3-Setting Slide Bar Hand Shower MODEL#: 51799? 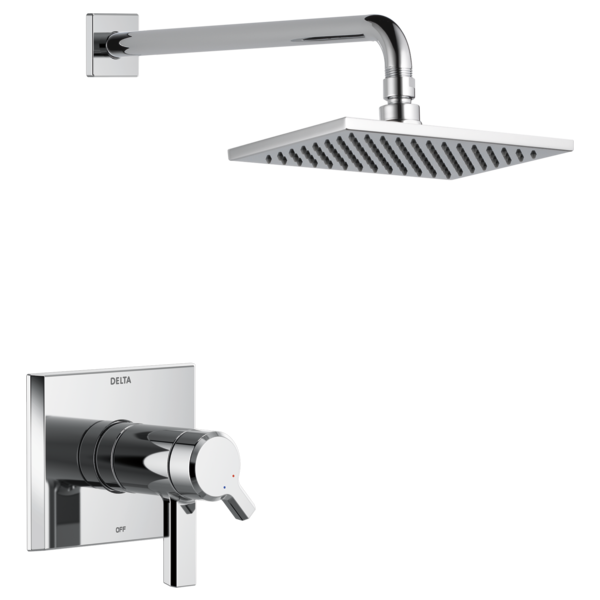 We want to install the rain shower head and the slide model hand held. This is for a shower only, no tub. Hi, Are you able to tilt this shower head? We have the 16 inch arm. Our plumber is concerned about the weight of the arm and shower head leading to tearing the wall if someone pulled on it. Do you have a support or bracket for the arm that would add stability?